My father’s life was taken…in the prime of his life, 46, a Navy doctor, a career spiraling upwards, a lovely wife, 3 daughters(12, 10, 7). The Navy was so special for and to him. He served in WWII in the Pacific Theater as surgeon, infection control medical officer, doctor, user of Penicillin in its early days to cure Syphillis. From 1946-1951, he became a part of the after-war Manhattan Project, serving as a Radiological Safety Officer, while he continued to practice medicine in the Navy. He was on Bikini Island for Operations Crossroads in 1946, then on Eniwetok for Operations Greenhouse in 1951. By early 1960, he was diagnosed with Pancreatic cancer…a death sentence and now connected with radiation poisoning. Mama raised us girls and we cared for her in her old age. January 30, 2013, Mama died of cancer coupled with vascular dementia and diabetes. She was 98, never remarried. Daddy was her true love. 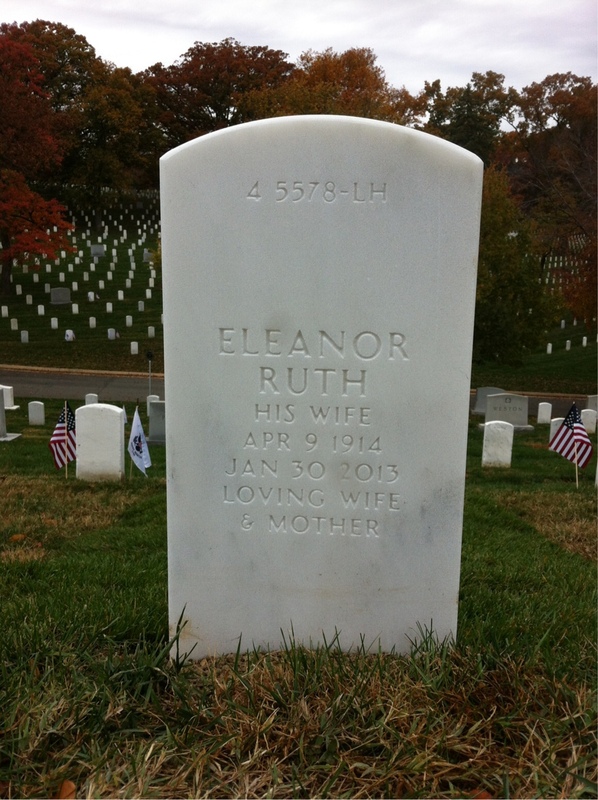 We buried her ashes in Arlington National Cemetery (just this past Sept. 9, 2013) with the remains of her beloved Ralph after 53 years…an honor and a privilege to have our parents buried on such hallowed grounds as these. My mother was a hero too. Not only was she a Navy officer’s wife, but worked during the war for the Naval Supply Depot, keeping the Navy in food and other supplies. She became a Gold Star Widow as we became Gold Star children. Yes. That was me…still is. My husband served in the Army 1967-1970 in the 101st Airborne, an Infantryman in Vietnam…1968-69. Kenneth came home safely. Heroes! These parents of mine, my husband, and ALL the others who have fought to protect this nation over many wars and many years. They each have a story, yet so many stories are quieted by death. War is a terrible thing. The gain is often so small. The loss is so huge. Just prior to Memorial Day weekend, members of the 3rd U.S. Infantry Regiment (The Old Guard) place American flags at the graves of U.S. soldiers buried at Arlington National Cemetery, “Flags-In”… in memory and honor of these heroes. 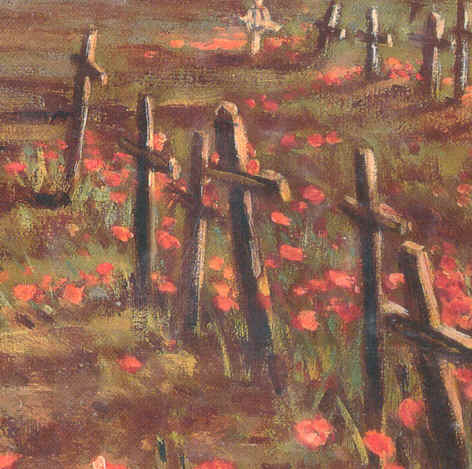 We remember…in many ways…flags, wreaths, flowers, small tokens, a poem, a song. 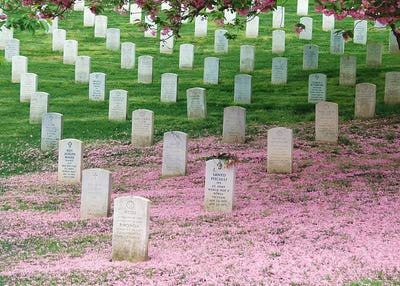 One hundred fifty years ago in May 1864, the first military burials took place at Arlington National Cemetery, one month prior to its establishment as a national cemetery. The burials took place in the oldest section of the cemetery – section 27. Commemoration of this 150th anniversary as a national cemetery began this past week, May 20, 2014, with an Army wreath-laying ceremony at the gravesite of Army Pvt. 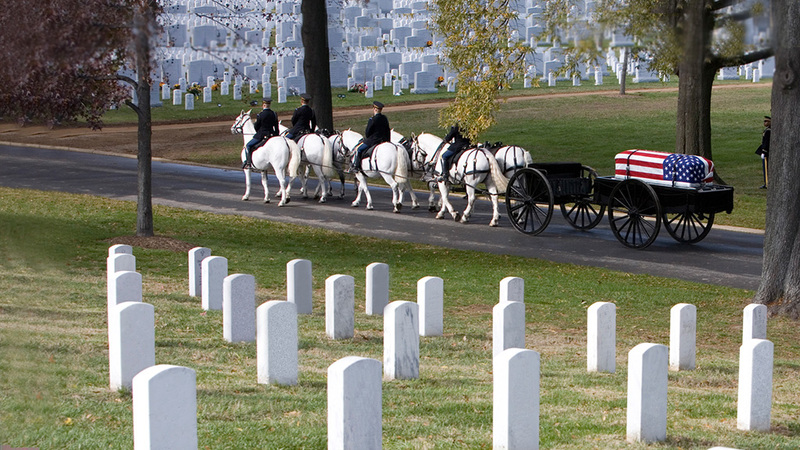 William H. Christman, the first military burial at Arlington. Privates Christman, McKinney and Reeves were interred May 13, 1864. Pvt. Blatt was interred May 14, 1864. ** Quoted in We Were Soldiers Once…and Young by Lt. General Harold G. Moore and Joseph L. Galloway, no credit given.